It has been a full on week for us at Energy Gym & CrossFit Skirmish. The Launch of our big CrossFit Skirmish Box was incredible, with the whole Gym bouncing with an energy I have not experienced before. 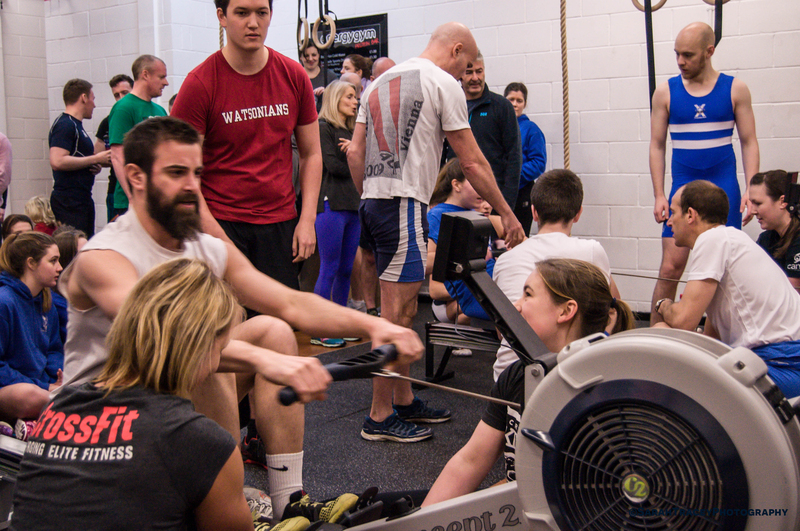 Indeed we had over 200 people from our local community taking part in the rowing and CrossFit tasters. Plus local sports teams taking part in our fun competition WOD. 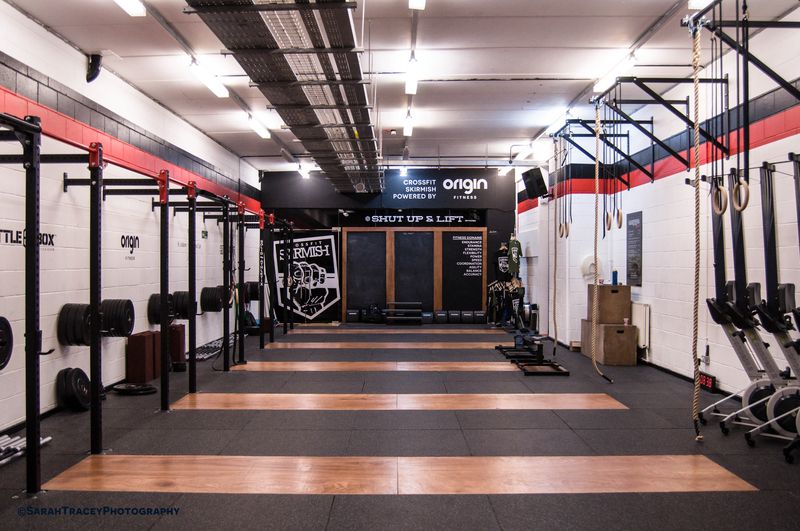 Interestingly we have had a few folks asking why we have Energy Gym & CrossFit Skirmish under one roof? Is CrossFit just an add on? Indeed we have had a few detractors arguing that we shouldn’t do both or indeed can’t do both well. For us doing BOTH wasn’t a choice – it was EVOLUTION. We started off as Energy Gym only 5 years ago – a small independent gym with a handful of members in a basement at Boroughmuir Rugby Club. Gavin Barry, my business partner and husband, was a senior police officer who had been a PT at Tulliallan getting new recruits fit and had then risen up the ranks, finally working as a DCI in Edinburgh, running the drugs and murder squads. All through is police career, he chose to spend his free time doing personal training because of his passion for fitness. His dream was always to set up a gym, so after 30 years’ service, he took over Energy Gym. With the help of his nephew Craig and me, we worked hard within the local community to deliver quality training and classes. We also became home to local sports clubs and great personal trainers, delivering a gym that WORKS FOR THE COMMUNITY . Whilst we had standard gym equipment, we were one of the first gyms in Edinburgh to embrace ‘functional training’ choosing kettlebells, TRX, Indian clubs, free weights, battling ropes, body weight and HIIT training in addition to traditional machines. We knew that this type of training yielded fantastic results for folks who simply wanted to get and stay really fit. When we were introduced to CrossFit, we knew we had to go for it – it was the evolution of the type of training we already did, even more importantly it fitted with our belief in community. However, starting CrossFit is not cheap which is why we had to start small – with a small box – introduced as a pilot because we simply didn’t have enough cash or space to do anything else. We also couldn’t charge our members as much as other CrossFit boxes because all we really had to offer was a tiny room and the dedication of great coaches. Our head coach, Sasha Voronov is the man with who has built the Box. 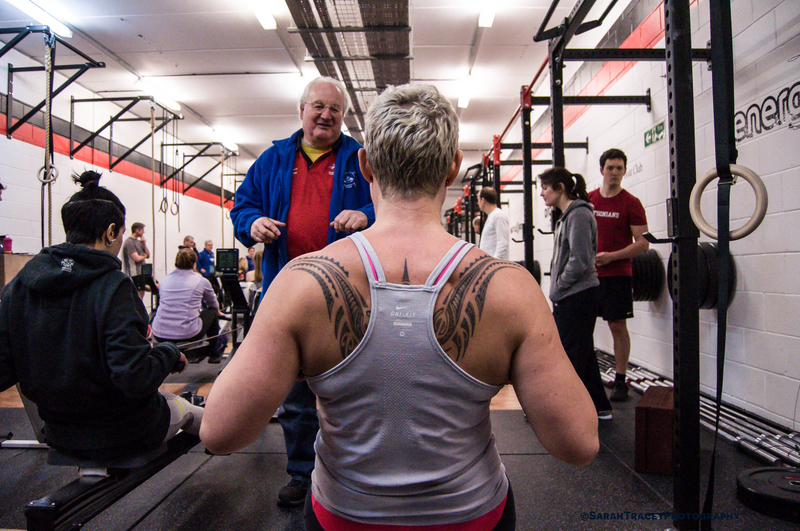 Sasha is the real deal – an inspirational trainer, who lives, breathes and eats CrossFit. He started off as a judo competitor and coach before discovering CrossFit which changed his life. He is an incredibly hard worker with great passion, dedication and integrity – he delivers what he promises – whatever the cost. We were also very lucky to have in-house talent in the form of Craig Smith, who is a fantastic PT and weightlifter, Tobi Emonts Holley and ‘Leffie’ Charlaftis who joined us later and also became an invaluable part of the team. So here we are, one year down the line. We have built an incredible community. 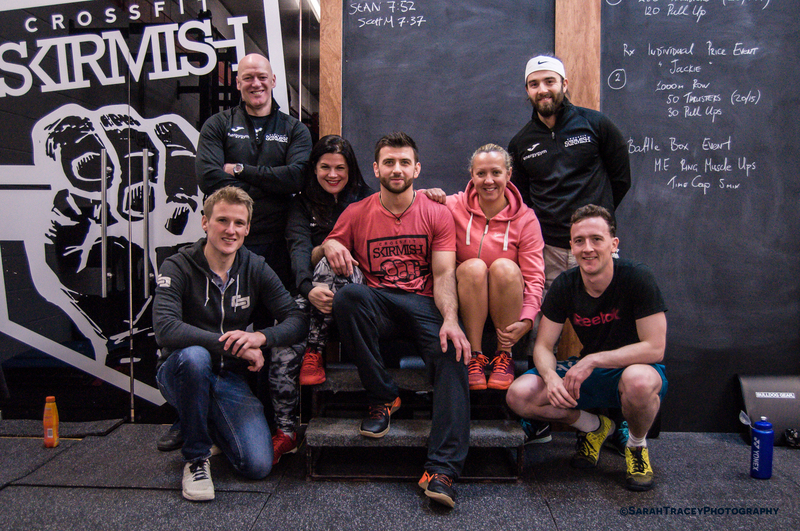 The people who have joined CrossFit Skirmish have overwhelmed us with their hard work, positivity and strength. This is why we have taken every penny earned over the last year and ploughed it back into a better facility for our CrossFittters AND ENERGY GYM community. 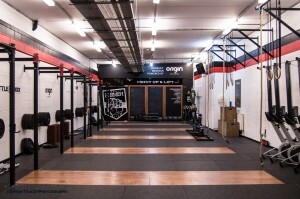 CrossFit Skirmish it now hard wired into the DNA of Energy Gym. Why do we continue to have both? Whist CrossFit Skirmish has been developing, so has Energy Gym. Thanks to the hard work and dedication of Callum Watt & our team of great trainers (Poppy Croal, Joe Mills, James Watt & Natalia Witt) it has grown further with local sports groups, personal trainers and schools loving both the high quality product and fantastic atmosphere. New members cannot believe the difference between walking into our gym vs any other – the energy and passion for all things fitness is infectious. The community is powerful. Whilst we know that CrossFit is for everyone, not everyone WANTS to CrossFit. Our membership is diverse, with rowers, Olympians and local sports clubs who want to ‘go hard and go home’. We also have some incredible ‘traditional’ gym users who are competitive weight-lifters, body builders, powerlifters, and those who do figure competitions too. We also have talented PTs who are specialist strength and conditioning coaches who work on a 121 basis with clients. We also have school kids and older folks who love our inclusive approach and feel safe and happy in our environment. Whilst we know that CrossFit is scalable and can work for everyone, we have built a reputation for caring for this community and making sure that the exercise programmes and classes we recommend are RIGHT FOR THE INDIVIDUAL. We are not in the business of forcing people down one fitness route vs another. We don’t believe only one form of training is right – that would be fitness fundamentalism . Our mantra is to encourage, support and care for anyone who wants to get fit and stay fit – PERIOD. We have made a lot of changes to our business over the last few years and have throughout dealt with everyone with fairness and integrity, often at cost to ourselves. This is why it gets frustrating when you are subjected to small minded criticism for being successful, for trying new things or indeed, simply for standing your ground for what is right for your business. Today’s weapon of choice seems to be social media. We have learned that the haters are always going to hate and that the best response is to walk away because, fundamentally, you just can’t argue with stupid. Instead we focus daily on giving customers as much positive energy as possible. We applaud every fitness professional who works hard to do this – whether they are a traditional gym, a CrossFit Box, an independent PT, a sports coach, a Zumba instructor, a yoga or pilates instructor. We all have a role to play – which is why we don’t waste time or energy others down. Can you do both Gym and CrossFit well? Yes, Yes, Yes. Our trainers are some of the best in the business who have worked hard to get there. 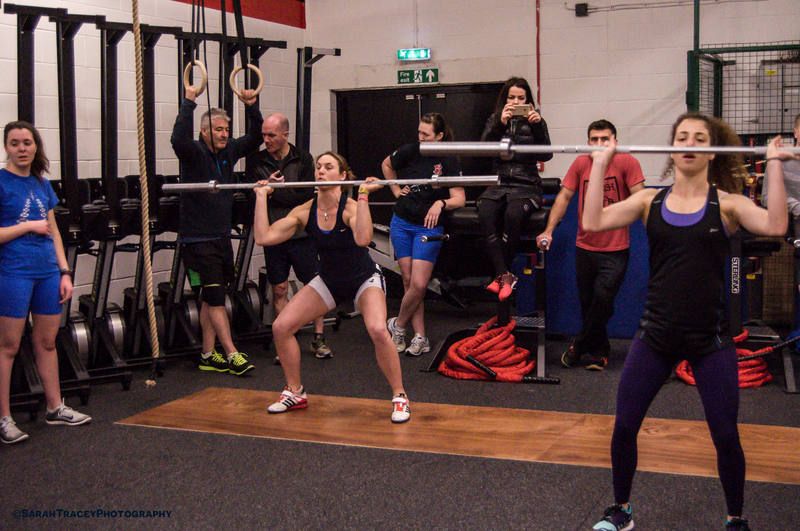 If you want to CrossFit we have a great, inspirational team to help you every step of the way. If you want to ‘gym’ we have some incredible trainers and a great facility to do it. If you want to specialise in powerlifting or do body building we have both the toys and people onsite to make it happen. If you need strength and conditioning to improve your team’s performance we can do it too. If you want to run, row, body build, power lift, cycle, play rugby or football or indeed Crossfit – that’s cool with us. 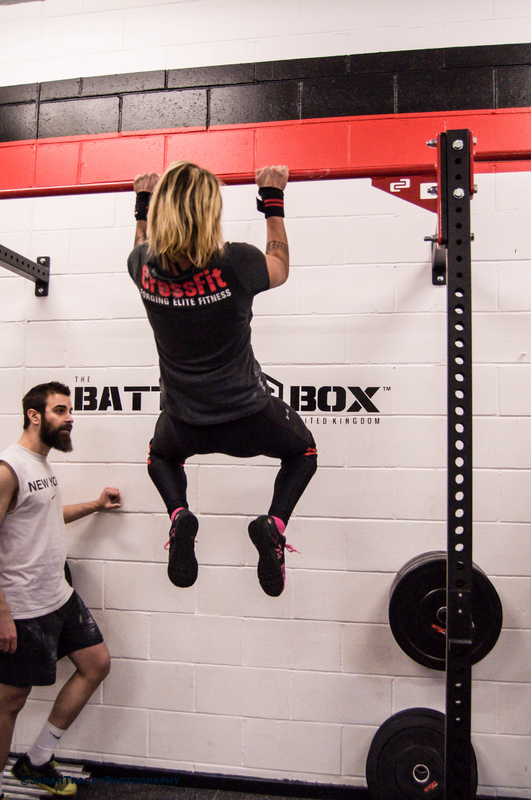 What was the best thing about the CrossFit Skirmish Big Box Launch? 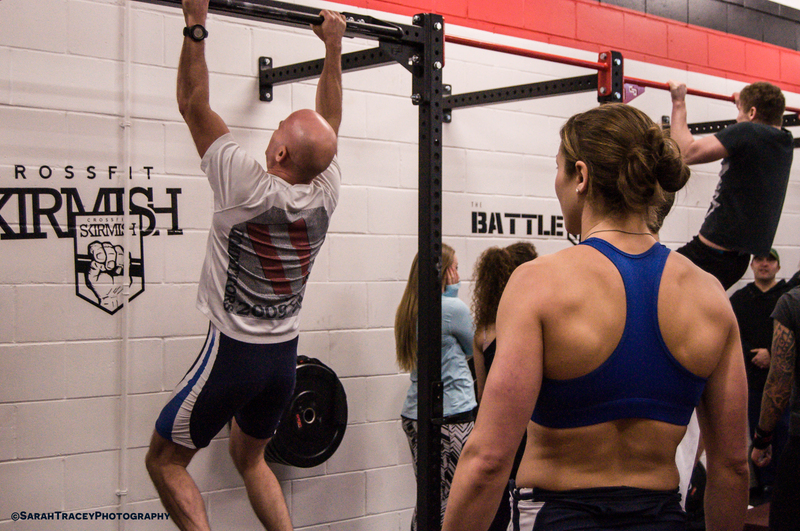 A few folks have asked me this week what was the best thing about the CrossFit Skirmish launch last week? The answer is simple – our community launched the Big Box together. The new CrossFit Skirmish Box has 20 ERGs because we partnered up with St Andrew Boat Club to make our gym their training centre. 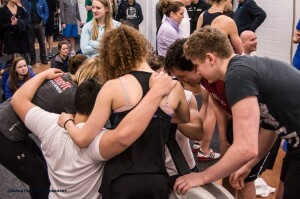 We didn’t need 20 ERGs but they did, so together we made it happen. To help our launch SABC delivered a rowing basics workshop – they also put together a team to compete against us in our fun launch WOD. Which they WON!. 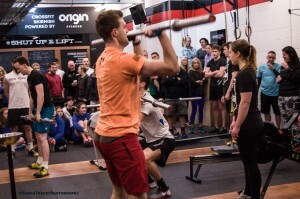 Our general manager Callum Watt put together a CrossFit Skirmish & Energy Gym team to compete against the rowers in the competition – they were brilliant. Tollcross Thistle AFC and Watsons Ladies Rugby Team who we also train, came along to join in the fun and support our venture. Last but not least, Anytime Leisure & Origin Fitness our new sponsors and Solid Athletix were also there – they are great local independent companies who worked hard with us to make it happen for which we are so grateful. The launch forged new friendships and mutual respect – it was a joy to watch all of these great people have fun, learn about each other’s sports and forge new friendships and mutual respect. They also want to try each other’s sport – RESULT. Couldn’t be happier – thanks all!